You know the story. A person from the modern (or near modern) era finds a magic portal to travel a couple hundred years into the past. He or she has adventures and falls in love with someone living in this historical time period — and in some cases, this modern person also has a significant other back in his or her own time. Eventually, whatever magic brought the time-traveler into the past takes them to back to the present time period, where the tragedy of this romance is revealed. It’s a well-trod tale, and here are a few versions. Leslie Howard is an American who inherits an old family home in London, the eponymous Berkeley Square, where he finds a portrait of an identical ancestor. 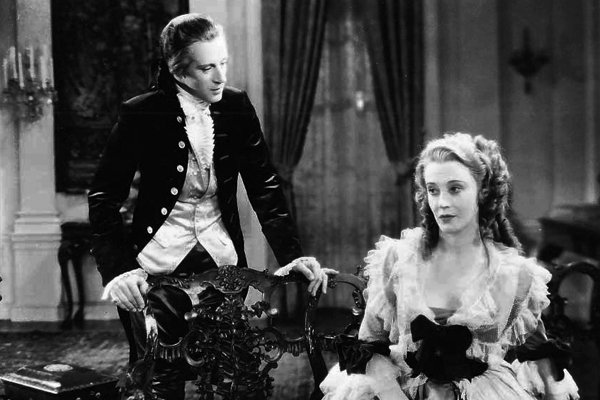 He’s transported back to 1784 and is mistaken for that ancestor, who was supposed to marry a daughter of the family. But the modern man falls in love with a different daughter. When he has to return to the modern era, he ditches his modern fiancée because he’s still in love with his historical lady. Two Americans stumble across an mysteriously preserved 18th-century village in Scotland. After much singing and dancing and a little fighting, Gene Kelly falls in love with Cyd Charisse. But Kelly has to leave the village because it only appears for one day every 100 years. He returns to modern-day New York and his fiancée, but can’t forget his Scottish lass. So off he goes, back to Scotland, where the village and Charisse are waiting for him. AKA The House in the Square — this is a remake of Berkeley Square with a little Cold War update. The modern man is an nuclear scientist and doesn’t have a fiancée. So the ending has more of an opening for future romance because, when he returns from his historical adventure, he meets a coworker’s sister who looks identical to his historical love (both played by the same actress). OMG this is one of the most sappy and romantic movies EVAR. A modern-day playwright falls in love with a picture of a women from 1910 and figures out how to travel back in in time to meet her. It’s all set on Michigan’s Grand Hotel on Mackinac Island. There isn’t any love triangle keeping them apart, merely a meddlesome manager and, of course, time itself. Have tissues handy. Obviously. Married 1940s nurse travels back to 18th-century Scotland and falls in love with highlander dude. Hijinx ensue. 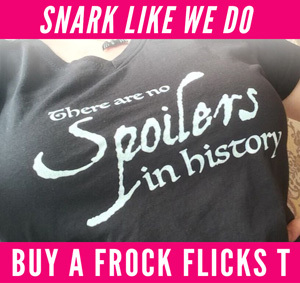 We may review some bits of season four, as soon as we pony up for a Starz subscription! What is your favorite time-traveling romance? What would you add to the list? Somewhere In Time – yes, it’s sappy but what a great way to waste a couple of hours!. And Brigadoon just to watch Gene Kelly dance. I’m definitely here for the dancing! Christopher Reeve was never more ravishing! But Somewhere in Time really is the standard all other time travelling romances need to measure up to. I did think about Kate & Leopold, but the story takes place mostly in the modern period, which isn’t as exciting to me. Oh my! That’s quite scrumptious. Well we know I’m a huge Outlander fan, but also love Brigadoon and Somewhere in time. For a fun time travel romance I’ve got to go with Lost In Austen. BTW don’t let Diana Gabaldon hear you call Outlander a romance, she’ll deny it vehemently. Wait, what? 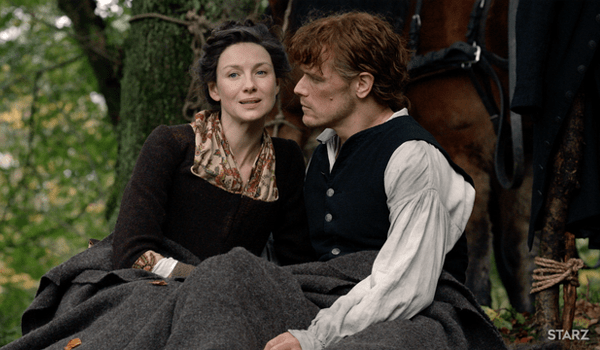 I’ll admit to owning but not having read Outlander… but there seems to be an awful lot of copulation happening for it to not be a romance. Maybe she doesn’t think romance is taken seriously? But at this point.. isn’t it a bestselling series and popular tv show now? Should be serious enough. She says it’s a love story, not a romance, because romances end when the people get married. She’s written quite a lot about this. :) She also got REALLY mad at B&N for always shelving her books in romance! Finally they realized they’d make more money if they’d move them to fiction. Yeah, it has to do with people not thinking romance novels are “real writing”, and shuffling it off as just another brainless bodice ripper. rolls eyes. I was just there last weekend, can confirm! I’m kind of intrigued by what the subtext of this says that 4/5 of these are about men going back in time and falling in love with a woman from the period. I feel like there’s a feminist dissertation in here somewhere. Patriarchal source material, that’s for sure! 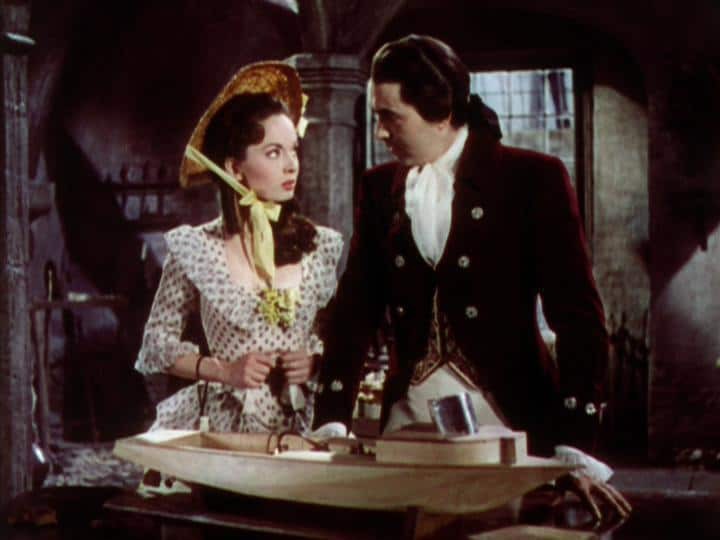 Berkeley Square was at least partly based on a Henry James short story, the musical Brigadoon was Lerner & Lowe, & Somewhere in Time is based on a book written by a man. 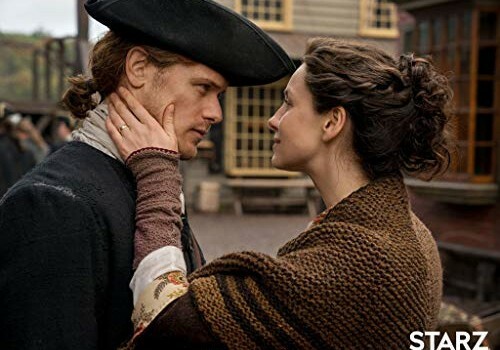 Only Outlander was based on a work originally written by a woman. 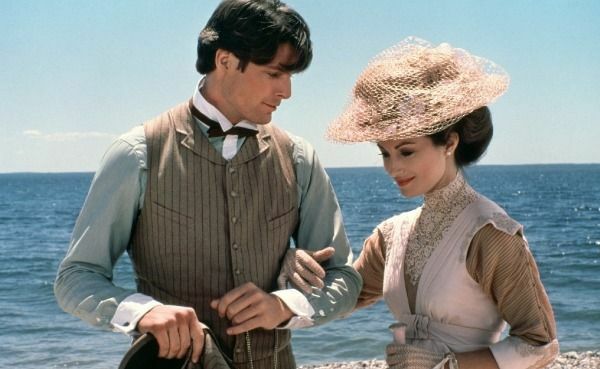 Can we please have a TBT for Somewhere in Time? I know, it’s super schmatlzy, but the costumes are great and Jane Seymour has never looked lovelier. And in conclusion, Christopher Reeve! Does Portrait of Jenny count? I adored the book in Jr. high, but the movie not so much. I LOVE Portrait of Jenny but the costumes are sort of blah so maybe that’s why it was left off. Such an odd movie for the time. I didn’t even know there was a book. I’d never heard of it until I was looking up details about Somewhere in Time. Don’t know if it’s available now. I’m not a romance movie person but Somewhere in Time holds a huge place in my heart. It’s just so damn beautiful!! Somewhere in time! One of the first non musical costume flicks I watched as a child because my dad was obsessed. He and I still bawl our eyes out every time we see it. What about Time After Time? … Jack the Ripper steals H.G.Wells’ time machine and ends up in 1970’s San Francisco. Wells chases him there and falls in love with a modern woman. It is time travel, and a romance, but it is travel forward rather than backward, so perhaps doesn’t fit what you were aiming for. Yeah, more of it takes place in the modern period, so less frocky. There are also a few time-travelling romances where the direction is reversed. i.e. someone from the past traveling to the present-day future. The one that springs to mind is Time After Time where Malcolm McDowell, playing H.G. Wells, uses his Time Machine and ends up in San Francisco circa 1979 where he falls in love with Mary Steenburgen portraying Amy Robbins, a bank clerk. Also David Warner portrays a more scary than usual Jack the Ripper. 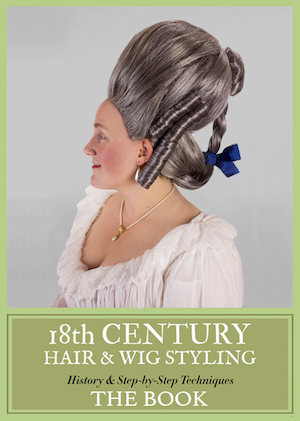 Granted, there is not as much scope for period clothing when the time-travel is in this direction. However there is an amusing bit where Amy is somewhat baffled by all of Wells’ garments. Somewhere in Time is one of my husband’s favorite ever movies. He admired Christopher Reeves very much and I think he’s in love with Jane Seymour, so… It’s a bit corny for me, but I think it’s very sweet that this rough and tumble leather clad motorcycle riding Australian I am married to loves this movie so much that he ever bought the soundtrack and knows the names of all the songs. That is adorable. Sometimes men are surprising! I was never so shocked as when my dad was the biggest fan of The Notebook in the whole family…. I don’t remember if he got them for himself or received them for Christmas but the DVDs are his—he very emphatically told me that it’s exactly what love is like. My husband also loved The Bridges of Madison County and insisted I watch it. He convinced me by telling me about the cameras (I am a photographer and my main film camera is the same model Nikon CE uses in the movie). I am not a fan of Eastwood in Romances but I love Meryl. It was good. I’m going with Outlander and Somewhere in Time. Jean Pierre Dorelac created some stunning costumes for both his leads, Jane Seymour and The incomparable Chris Reeve. 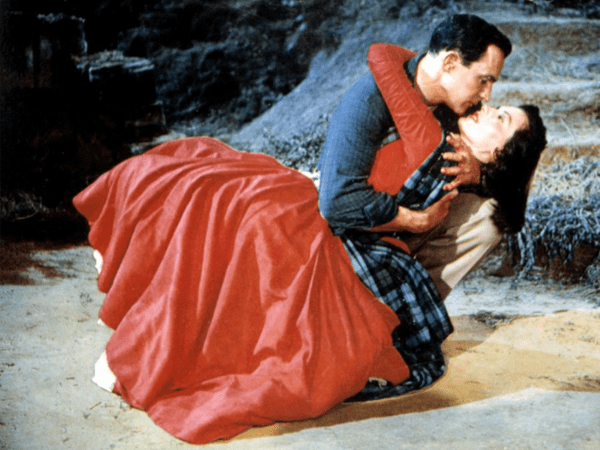 My third choice is Brigadoon bc of Gene Kelly and Cyd Charisse. They did a version of Brigadoon in the 1970-1980s with Robert Goulet, Sally Anne Howes and Peter Falk. Ooo, what a neat story! I’d love to see a screen adaption too. Um Austen. Not a show about Texas. Can you imagine the former though? Texas has such a unique history, it could have potential for a time travel romance. What about Back to the Future Part 3? I think there was probably a tv series based on a book called Charlotte Sometimes… two girls share a bed in a boarding school separated by 50 years (or something) – they swap places overnight and have to deal with being in a time not their own. They swap notes hidden in an exercise book hidden in one of the bed posts! Connecticut Yankee was the first thing that came to mind. Liza Jane’s mention of “Portrait of Jennie” made me recall another Jennie time travel movie (yes there are two! )…I remembered Lindsay Wagner was in it, and tracked it down…it was called “The Two Worlds of Jennie Logan.” Modern day couple buy an old house, and the wife finds an antique dress in the attic. She puts it on, and is transported to the past. She meets the painter who lives in the house in that time period and falls in love. She returns to the present when she takes off the dress. She goes back and forth between modern husband and lover in the past, until ultimately deciding to stay in the past. The costumes were probably garbage because it was a TV movie, but the ending made a big impression on 9-year-old me. I have that on DVD! I’ll have to rewatch it one of these days. I’d love to see a film version of Connie Willis’ “Domesday Book.” I don’t remember if there was a romance tucked in it somewhere, but the idea of a modern woman scientist stuck in England during the Black Plague might make for some good—authentic—filmaking of a critical point in medieval history. I’m not that big of a fan of the movie. I found the whole story a bit too excessive for my tastes. If this had been my list, I would have included “Kate and Leopold”, along with “Back to the Future III”. I remember seeing The Two Worlds of Jennie Logan as a child and being intrigued by it. Interesting about Diana Gabaldon. She was quite happy to appear at conferences like RWA and RT to promote her books to romance readers but god forbid you should call them romances although her book does have a strong romance. Your local library might have a copy of Somewhere in Time on DVD. Moondial! Very sweet BBC miniseries based on the YA book about a girl called Minty who’s staying near a country house and makes friends with long dead children from various periods. There’s a wonderful bit in the book where she decides to just wear a nightie for time travelling because it’s easier to pass off as period clothing no matter when she ends up, but the adaptation lacks some of her rationale. I know you burned this ‘time-travel-movie’ to the ground, in a Medieval Throwback Thursday in 2017. The rest truly behaved like the Scooby Gang fighting “Tony Blair”🤐.